As you know nowadays, condos and homes are considerably smaller than what they have been over the last few decades. With rooms on the small side, ie condos that can be 600 square feet or smaller, home-owners have to use their space very efficiently. One of the best ways to organize your bedroom besides a great closet from us, grin, is to consider a bed surround. As you can imagine, bed surrounds come in a variety of designs. Some design choices to consider are what are you storing. Do you need storage underneath for large awkward items? Or are you putting small things away that you use often that you want to have easy access to while you’re in bed. Not sure if you remember them, but a captain’s bed is one variable that we can redesign to suit your needs. Not only does it have a large amount of storage underneath but it can also raise you bed a little higher off of the floor so you can feel like a true prince or princess! Another variant on bed surrounds are incorporating storage for small things such as toiletries, pharmaceutical needs and other things such as tissues and other items. 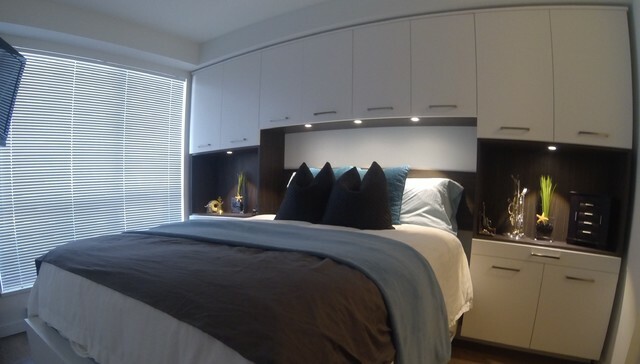 Bed side tables can be built right into the unit as well to give a completely custom and clean look. As a custom cabinet manufacturer, there is no limit as to how we customize your home. From solid smooth high gloss to textured surfaces, we can even include doors with glass inserts to lighten things up. Whatever choice you choose, you can consider this for your main bedroom, teen’s room or maybe use something like in a granny flat where space is limited. 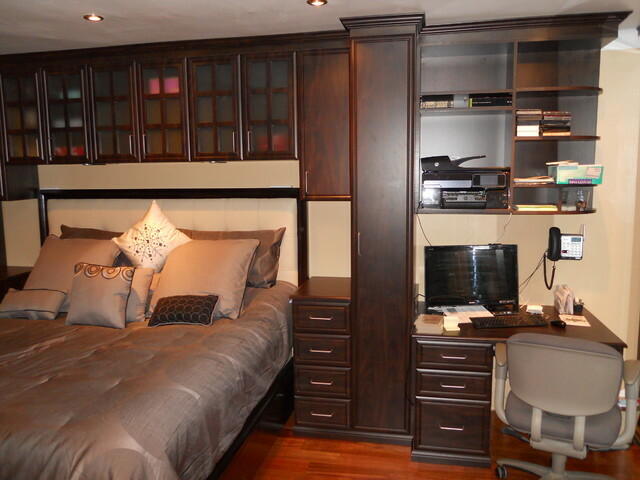 Either way, we can customize this to your taste and design because we are Space Age Custom Closets and Cabinetry.